STATE CAPITOL, PHOENIX – Rep. Martín Quezada, D-Phoenix (District 13), will serve on a total of three committees and as the ranking member of two of those committees during the Arizona House of Representatives’ 51st legislative session. Quezada will represent the new Legislative District 29, which includes West Phoenix, Glendale and a portion of Litchfield Park. Quezada will be the ranking member, or the member serving as the Democratic leader, of the Judiciary Committee. This committee handles bills that relate to criminal justice, court procedures and elections. He also will be the ranking member of the Government Committee. This committee deals with bills that affect the different levels of government jurisdiction. The committee often focuses on issues of government responsibility, accountability and transparency. Additionally, he will serve on the Rules Committee. This committee reviews every bill that comes out of the other committees in the House of Representatives. The Rules Committee evaluates the bills for constitutional issues, including federal preemption, as well as proper formatting and grammar. Quezada is a native of Phoenix and was born and spent his early childhood in Maryvale where he attended St. Vincent de Paul Elementary School. He is also a graduate of Peoria Centennial High School (1995), Glendale Community College (1998), Arizona State University West (2001) and the Sandra Day O’Connor College of Law at Arizona State University (2008). He spent five years working as a Research Analyst/Policy Advisor to the Democrat Caucus in the Arizona State Senate (2001) and the Arizona State House of Representatives (2002-2005) before being accepted into law school at ASU. Quezada has been a community activist for several years and serves on numerous boards and commissions in the community including the ASU Los Diablos Latino Alumni Association, the Maryvale Village Planning Committee, the West Phoenix Revitalization Community Advisory Board and the Los Abogados Hispanic Bar Association Board of Directors. He was named as one of the Univision Radio/Arizona Hispanic Chamber of Commerce Top 40 Hispanic Leaders under Age 40 in 2009. STATE CAPITOL, PHOENIX – Arizona House Democrats are lambasting Gov. Jan Brewer’s decision to prevent the creation of a state-based health exchange. Instead, the state will participate in a federally-operated exchange. “The governor has made an irresponsible decision,” House Minority Leader Chad Campbell, D-Phoenix (District 14), said. “The state has already spent millions of dollars developing the infrastructure to support the exchange. The governor is going to throw that all away so she can push an extremist agenda. We’ve come to expect political grandstanding from her, but this is a whole new level. House Minority Whip Anna Tovar, D-Tolleson (District 13), also is concerned about the financial impact the governor’s decision will have on the state. STATE CAPITOL, PHOENIX – Below is a list of committee assignments for Arizona House Democrats in the upcoming legislative session. The list also denotes ranking members, who will serve as the Democratic leader on the committee. 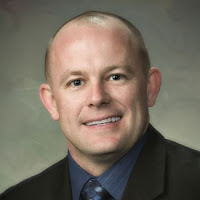 STATE CAPITOL, PHOENIX – Rep. Albert Hale, D-St. Michaels (District 2), will serve on a total of three committees and as ranking member of two committees during the Arizona House of Representatives’ 51st legislative session. Hale was named the ranking member of the Energy, Environment and Natural Resources Committee. This is a new committee that combines the work of last session's Environment Committee and Energy and Natural Resources Committee. The committee's jurisdiction includes mining and other natural resources and mineral extraction and processing, state parks and state land policy, gas and electric utility issues and oversight of the Arizona Department of Environmental Quality regulations and programs. He was also named the ranking member of the Rules Committee. The Rules Committee reviews every bill that comes out of the other committees in the House of Representatives. The Rules Committee evaluates the bills for constitutional issues, including federal preemption, as well as proper formatting and grammar. Additionally, Hale will serve on the Judiciary Committee, which handles bills that relate to criminal justice, court procedures and elections. “I am looking forward to serving the people of my district and Arizona for another session. Together we will focus on the issues that matter most – creating jobs and improving education,” Hale said. Rep. Hale is an enrolled member of the Navajo Nation. He was born in Ganado and raised in Klagetoh, Arizona. He is Ashiihi (Salt), born for Todichiini (Bitter Water). His maternal grandparents are Hanaghani (Walk About clan). His paternal grandparents are Kiyanii (Tall House clan). He is a 1969 graduate of Fort Wingate High School, a Bureau of Indian Affairs boarding school located east of Gallup, New Mexico. He holds a bachelor of science degree from Arizona State University, Tempe, Arizona (1973,) and a juris doctorate degree from the University of New Mexico School of Law, Albuquerque, New Mexico (1977). The Phoenix School of Law awarded Hale an honorary law degree in May 2012. STATE CAPITOL, PHOENIX – House Minority Leader Chad Campbell, D-Phoenix (District 14), announced that he will introduce legislation to create a bipartisan election reform study committee. Since the Nov. 6 general election, in which voters cast an unprecedented number of provisional ballots and reported statewide irregularities, Campbell has reached out to Arizona leaders to create this committee. Earlier this month, Campbell contacted Gov. Jan Brewer, Secretary of State Ken Bennett, Speaker Andy Tobin, R-Paulden (District 1), newly elected Senate President Andy Biggs, R-Gilbert (District 22), and newly elected Senate Minority Leader Leah Landrum Taylor, D-Phoenix (District 16), to urge the formation of the study committee. Among its obligations, the committee would be required to investigate past general and primary elections. It would submit a report to the Legislature by March 1, 2013 that would identify problems and would include proposed corrective legislation. “It’s in everyone’s best interest that we work together on this,” Campbell said. Copies of the draft legislation are available on request. Send requests to cmhebert@azleg.gov. STATE CAPITOL, PHOENIX – Today House Minority Leader Chad Campbell, D-Phoenix (District 14), reached out to Republican and Democratic leaders in Arizona to ask that they join him in calling for a bipartisan investigation of the 2012 general election. Campbell asked for the creation of a bipartisan, legislative study committee to identify the issues that plagued the most recent election. Additionally, Campbell suggested that the committee find solutions to any problems identified during the course of the investigation. “In light of the hundreds of thousands of ballots that have yet to be counted, the apparent increase in the number of provisional ballots this election year, and the statewide irregularities that have been reported by voters, I am calling on Arizona’s leaders to conduct a bipartisan investigation of the 2012 general election. We must determine the cause of the problems and identify ways to correct them before the next election. Campbell addressed the letter to Arizona Gov. Jan Brewer, Arizona Secretary of State Ken Bennett, Speaker Andy Tobin, R-Paulden (District 1), newly elected Senate President Andy Biggs, R-Gilbert (District 22) and newly elected Senate Minority Leader Leah Landrum Taylor, D-Phoenix (District 16). STATE CAPITOL, PHOENIX – Democrats in the Arizona House of Representatives elected leadership today that will continue to prioritize efforts to counter the extremist Republican agenda, while working to create jobs and improve education in Arizona. Rep. Chad Campbell, D-Phoenix (District 24), will continue to serve as minority leader. Rep. Ruben Gallego, D-Phoenix (District 27), is the new assistant minority leader and Rep. Bruce Wheeler, D-Tucson (District 10), is now the minority whip. House Democrats re-elected Campbell to serve as the minority leader. Campbell, a Phoenix native and graduate of Northern Arizona University, has served in the House since 2007. Campbell represents District 24, located in Phoenix and in Scottsdale. Gallego, who was first elected in 2010, is a Harvard graduate and also served in the Marine Corps. He represents a district comprising Central and South Phoenix, Laveen, Guadalupe and Tempe. Wheeler, a former Tucson councilmember, has been a member of the House since 2010. He said that he will remain committed to protecting women’s access to healthcare and supporting local business development. His district is located in Tucson. STATE CAPITOL, PHOENIX – House Minority Leader Chad Campbell, D-Phoenix (District 14), sent letters today to election officials, encouraging cooperation in ensuring that all qualified voters have an opportunity to participate in the upcoming election. The letters, sent to Arizona Secretary of State Ken Bennett and Maricopa County Recorder Helen Purcell, urged officials to make sure every vote counts. “I know you share my goal of making sure that every registered voter has an unimpeded opportunity to cast a ballot on Election Day, and I urge you to take every action necessary to make sure no one is suppressing the vote. The right to vote is fundamental to our democracy, and if even one voter is denied the ability to vote, it undermines our entire system of government. STATE CAPITOL, PHOENIX – Enrollment in KidsCare II, Arizona’s temporary Children’s Health Insurance Program, is now open until Dec. 31, 2012. Rep. Martin Quezada, D-Avondale (District 13), is working to keep Arizona parents informed about the program and eligibility requirements. For more information about the program, including income limits and premiums or to apply, call 1-800-377-3536 or go to http://www.azahcccs.gov/applicants/KidsCareII.aspx.